If you saw our first post on Karen Zupko’s webinar, Finish Strong: Make 2012 Your Most Profitable Year, you know that the first step toward maximizing profitability is getting a handle on the metrics that measure the success of your medical practice. And who should know better than Karen, one of the leading practice management experts in the country? Karen’s webinar offered many strategies to address any metrics that may be performing less than optimally. To view the big picture, Karen suggested that you run your dashboard with a section that breaks out payments by insurance companies and monies collected from patients. Because so many patients now have high-deductible insurance plans–the average out-of-pocket expense for those with insurance is now $2,270–collections from patients are making up a bigger portion of your revenue pie. In order to maximize collections from both patients and insurance companies, it is essential to check eligibility, benefits, current deductible amounts and co-pays prior to a patient’s appointment. Know what patients owe and tell them during reminder calls that payment of an outstanding balance or deductibles will be due when they check in for their appointment. Karen also recommends that you set up a process for handling recurring payments from patients that have large balances or are scheduled for surgeries or procedures. The ideal scenario is having a credit card on file. In addition, practices should be able to accept payments online. The majority of patients under 30 don’t even have checkbooks, so offices that can’t take payments electronically are behind the times and likely losing revenue. There are other electronic tools that will help practices maximize revenue. Karen says claim estimators can be invaluable for calculating the exact amounts that patients are responsible for, according to their insurance plans. Some clearinghouses offer this capability. One website, www.availity.com, enables offices to access information from several different health plans, including Cigna and Blue Shield. Using them if you have contracts with these plans can save you time and effort. Another way to maximize revenue is by reducing the number of “no-show” appointments. Karen stresses that patients who don’t show up for their appointments cost your bottom line dearly. That is lost revenue you can never backfill. She suggests that practices use every contact method they can—email reminders, phones calls, text messages—to encourage patients to show up for their appointments. And don’t automatically delete patients that don’t show up. Run a report to see if there are trends, such as patients on Friday afternoons or Mondays, on when no-shows occur most. If it is an ongoing problem, you may feel justified in booking slightly more appointments than you can handle during those times. By identifying troublesome trends in your practice metrics, you can take steps now to turn 2012 into a banner year for your practice. Do you know where your practice is today compared to last year in terms of patient volume, charges, collections and adjustments? 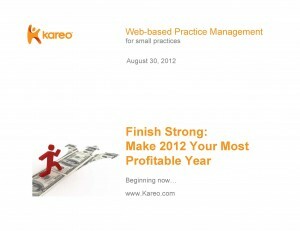 These were the opening questions during Finish Strong: Make 2012 Your Most Profitable Year, a webinar sponsored by Kareo. The webinar was presented by Karen Zupko, a leading medical practice management consultant with teams of experts working with physician practices across the country. If you’re like many practices, answers to those opening questions prove elusive at times, maybe even falling off your radarscope. But Karen made the excellent point that you cannot manage what you can’t measure, and getting a handle on important metrics is the first step in making 2012 your most profitable year ever. Our blog here from her webinar will cover the first part of her presentation. Check back tomorrow for our blog covering the second half of Karen’s webinar. To finish the year strong, Karen suggests that you create and update a dashboard for your practice that gives a single-screen snapshot of your most important metrics. 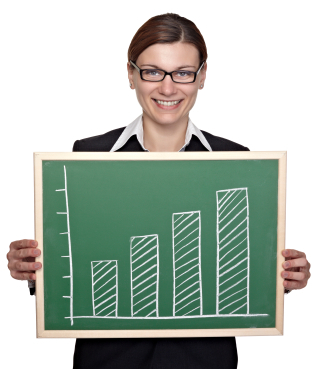 These include days in accounts receivables, charges, collections, payment velocity and more. 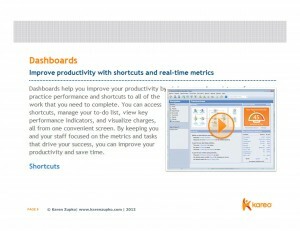 Some software systems, like Kareo, have built-in dashboards that populate the data on a real time basis. Karen also suggests that you breakdowns your accounts receivables by the number of days in AR, such as 30 days or less, 31-60 days, 61-90 days and over 120 days. Most practices want the majority of their AR to fall in the 30 days or less category, but there are fluctuations that occur in part by the specialty of your practice. 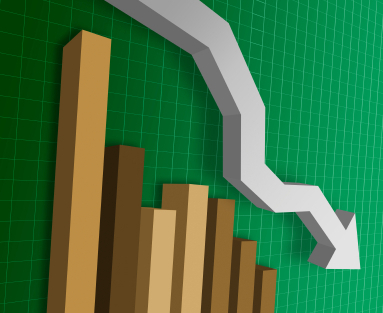 Because the likelihood of bringing in reimbursement falls off the longer it goes uncollected, it is important to determine if this trend is hampering your cash flow. Karen offered several strategies to address this in the remaining months of 2012. Once you have created your dashboard and analyzed the trends, it is important to set goals to address any weaknesses you have identified. Be concrete when discussing them with your staff. For instance, instead of stating that the practice needs to collect more money, set a goal of improving point-of-service collections by 15 percent over the next month. Review the targets and progress on a regular basis. Practices also need to be sure they know the contracted allowables for reimbursement by payors. Many insurance companies allow you to load your top 20 billed CPT codes to get the accurate contracted rate. 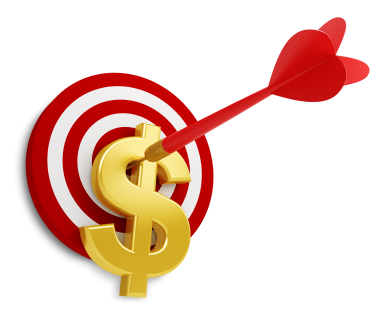 Be sure you load those correct rates into your billing system. Some software will flag any discrepancies if payments do not match the contracted rates. In order to maximize collections from both patients and insurance companies, it is essential to check eligibility , benefits and current deductible amounts prior to a patient’s appointment. Know what the patient owes and remind them. To see archived recordings of this and our other webinars, visit our Resource Center. Performing an E/M audit on all clinicians is a daunting task, and may require an outside auditor. Instead of a complete audit, review three office codes with a high error rate. The CERT report found a 24% error rate for 99205, 20.8% error rate for 99204 and an 18.6% error rate for 99215. Run a frequency report for each clinician, and select records to review coded with these three codes. If your office doe not have an experienced auditor, have a biller/clinician team review the notes using an audit sheet. Educate clinicians who are billing these codes if they are missing required components. Only Dolly the sheep should be cloned, not medical records. We can paraphrase the Supreme Court here in defining cloning, “I know it when I see it.” The Office of Inspector General calls these identical E/M notes, and these identical notes are an area of interest on their current Work Plan. Identical or cloned notes consist of notes in which some or all of the note is copied from a previous note/visit or when all of the notes are so similar to one another that they appear identical. It is easy to determine if notes in your practice give this appearance. Select two patients who have been seen three or more times in the past year. Review three of the notes. Although the past medical, family and social history may be identical from one note to another, and the exam similar, the history of the present illness should reflect what the patient said at that visit, or the status of their problems since the last visit. The assessment and plan should describe what happened at this visit and should not be identical to the previous note. Use this same strategy to look at visits scheduled for the same condition on different patients. Do all patients with the presenting problem of frequency have the exact same documentation? Non-specific diagnosis codes can cause claim denials and require appeals. Using non-specific codes will also make the change to ICD-10 more difficult. Run a diagnosis frequency report of your 50 most common diagnosis codes. Look for non-specific codes, which often end in .8 or .9. Each week, select five non-specific codes and provide clinicians with more specific codes and education about using them. It is both a mistake and a compliance error to bill all services provided by a Non-Physician Practitioner (NPP) to Medicare using the physician’s National Provider Identifier (NPI) number. For Medicare, the services must meet incident to guidelines. Many state Medicaid programs require practices to bill NPP services using their own, not the physician’s NPI. Commercial insurers may or may not enroll and credential NPPs. If the commercial payer does not, then submit the claim under the physician’s NPI. Check first. Do not bill for new clinicians under another clinician’s NPI while waiting for enrollment. Accurately reflect the NPI number of the performing clinician according to Medicare and Medicaid rules and payer contracts. The final report to run to increase accurate coding is one that shows how often your group bills an E/M service with a procedure. It should not be 100% of the time. Report both an E/M service and a procedure, appending modifier 25 to the E/M, when the office service was a distinct and separate service and is clearly documented. This is most likely in one of two instances: There were two separate problems, or the evaluation of the problem was extensive. Do not report an E/M service for a planned procedure or for a minor procedure that required only evaluation of the site and the decision to perform the service (wart destruction, for example). If the documentation reads, “Patient presents today for a LEEP because of an abnormal pap smear,” bill only for the LEEP. Medical practices can decrease coding errors. Focus attention on these five areas and experience a high return on your time investment. Betsy Nicoletti, M.S., CPC, is the founder of Codapedia.com, a wiki for physician reimbursement. She is a nationally known speaker and consultant, and can be reached at www.mpconsulting.org. 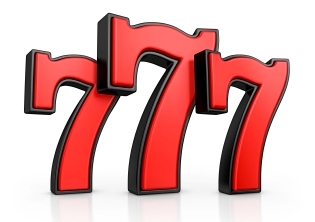 She recently wrote for Getting Paid on Seven Ways to Improve Your Patient Collections. It would be a mistake to consider the October 1, 2014 deadline for implementation of ICD-10-CM/PCS as flexible. On that date, all Health Insurance Portability and Accountability Act (HIPAA) covered entities must implement the new code sets. Billing for inpatients with dates of service or dates of discharge of October 1, 2014 or after must use ICD-10. While HHS has extended the implementation date in the past, there are no known extensions built into its present implementation schedule. Non-covered Entities Should Use ICD-10-CM/PCS, too. Workers’ Compensation and auto insurance companies are not covered by HIPAA, but that does not mean that for them ICD-10 is not a good idea. ICD-9-CM/PCS will no longer be maintained after October 1, 2014, so it is in non-covered entities’ best interest to use the new system. There is significantly more detail in the ICD-10 coding system, which will be of great value to both covered and non-covered entities. Some believe that the increased number of codes available to the ICD-10-CM/PCS system will make it more difficult to use, but ask yourself this. If you were looking to buy a quality reference dictionary, would you buy the smallest book available, or would you go for the biggest? So it is with ICD-10-CM/PCS. Its increased specificity will enable coders to make better quality selections more quickly. Because codes are grouped logically, getting to the right code is no more difficult than it has been with ICD-9-CM/PCS. In fact, alphabetic indexes and electronic coding tools currently in use in ICD-9-CM/PCS will be available for ICD-10-CM/PCS also. And over time, we should see more sophisticated electronic coding tools become available to take advantage of the new ICD-10-CM/PCS specificity. We are all too familiar with the declining use of print media, and many fear that printed ICD-10-CM/PCS manuals are already a thing of the past. The truth is that manuals for both ICD-10-CM and ICD-10-PCS are available from a variety of publishers now. Shop around; manuals range in size from 700 to over 1800 pages in length and some are well illustrated. Yes, we are definitely in the electronic age, but ICD-10-CM/PCS is a system of coding that is independent of electronic hardware or software platforms and will continue to be supported by print publishers in the future. You can also find a great electronic ICD-10 Look-Up Tool on the ICD-10 Watch site—see the bottom right corner. Keep in mind that ICD-10-CM and ICD-10-PCS are both codes and systems of coding. Since their initial development, ICD-10-CM/PCS codes have been updated annually to keep pace with continuous advances in medicine and technology. Code sets, or coding systems, continue to be updated as well, but will likely be “frozen” at some point prior to implementation. Although ICD-9-CM includes unspecified codes, practices should avoid reporting them, when possible. They don’t provide any definitive information to payers, some of which will look for any reason to deny the medical necessity of services that physicians render, says Betty Johnson, CPC, CPC-I, CPMA, CPC-H, CPC-D, director of ICD-10 development and training at the American Academy of Professional Coders in Salt Lake City. Unspecified codes—when reported frequently—can definitely subject physicians to third-party audits, says Johnson. Physicians can easily get into trouble when they report level 4 or 5 E/M codes with unspecified ICD-9-CM diagnosis codes, for example. This is problematic because payers may assume that the patient’s vague and unspecified diagnosis doesn’t justify the medical necessity of the intense level of E/M provided. It’s also easy for payers to assume that if the diagnosis isn’t documented properly, then the E/M level might not be documented appropriately either, she adds. Aside from the potential financial ramifications, unspecified diagnosis codes also prohibit effective disease management and other research efforts, says Johnson. It will become even more important to avoid unspecified codes once ICD-10 takes effect in 2014. That’s because ICD-10 includes more granular codes, and payers will likely question physicians who aren’t taking advantage of this added specificity, says Johnson. For example, although ICD-10-CM does provide an unspecified option for otitis media (H66.90, otitis media, unspecified, unspecified ear), this code is so non-specific that it will most certainly raise a payer’s red flag, says Johnson. Instead, physicians should document laterality (i.e., whether the ear infection is in the left or right ear), which is not currently required in ICD-9-CM. Simply stating ear infection won’t be sufficient. Likewise, ICD-10-CM does provide an unspecified option for asthma (J45.90-, unspecified asthma); however, physicians should avoid this code. Instead, they should document whether the asthma is mild, moderate, or severe as well as whether it’s intermittent or persistent. This will enable coders to report a more specified option, says Johnson. It’s too soon to tell how unspecified codes may affect physician reimbursement in 2014 and beyond because ICD-10-CM is vastly different than all of the other code sets that precede it, says Johnson. Even today, physicians are very dependent on each payer’s policy. Some payers may shift payment patterns for unspecified codes much more drastically than others. Some may deny claims entirely while others may require more documentation. The good news is that physicians don’t necessarily need to document paragraphs of additional information. One or two terms (e.g., acute or chronic) can make a big difference in terms of coders being able to report a more specified code, says Johnson. Johnson says that ICD-10 may eventually help with the adjudication process and reduce the number of denials that physicians receive simply because codes are more specific, and they tell the patient’s story more effectively. Talk with your larger payers. Ask your payers whether they’re looking more closely at unspecified codes. 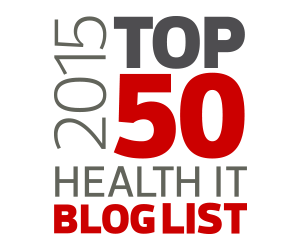 If not, does the payer plan to do so in the future once ICD-10 takes effect? Re-evaluate your templates. Can your EMR vendor make your templates more specific? Is there a user group that you can join to connect with other physician practices and better understand what your vendor might be doing to prepare for ICD-10? Ensure that coders have access to medical records when coding. Some physicians may document a more specific diagnosis in the record but not on the encounter form. If coders don’t have access to the records, they must default to an unspecified code in these instances, says Johnson. Lisa A. Eramo is a freelance writer and editor specializing in medical coding, health information management, and other healthcare regulatory topics. Visit her website at http://lisaeramo.wordpress.com/. Lisa wrote recently for Getting Paid on How Will Your Practice Transition Its Superbill to ICD-10?, Take a Closer Look at Your Superbill to Ensure Accurate Billing and Prevent Denials with More Accurate Medical Coding. Lisa has also written on Understanding RVUs: Ensure Accurate Reimbursement for the E/M Services You Provide. It’s not front-page news: patients have higher deductibles and out of pocket costs, shifting the burden in medical practices from insurance to patient due collections. Medical practices have responded by routinely checking payer websites to discover if the patient has met their deductible. Many insurance sites also present information about patient due amount for the benefit/service being provided. Groups can do this in batches, for an entire day’s schedule or on demand for a last minute appointment. Once the practice knows the patient due amount, here are some of the key elements to effective patient collections. At the end of this article, there are links to other Kareo resources that discuss these six elements in more detail. A written financial policy – This policy should be given to the patient and posted on the practice website. This clearly sets expectations and gives the staff guidance in their activities. Discussion with the patient about their financial obligation – Ask the patient for payment, and discuss large bills. Consistent collection of co-pays and patient due amounts at the time of service – Most practices collect co-pays reliably, but it is also important to remind patients of past due balances and ask them to pay these while in the office. Collecting surgery deposits prior to the procedure – When a patient has time to plan for surgery, the practice has time to collect for the surgery. Use a claims estimator or call the insurance company to find out what the patient due balance will be. Collect a deposit before surgery, and discuss how and when the balance will be paid. Ability for patients to pay on-line through a secure portal – This is important for all practices and all patients, but keep in mind that some young patients may not have a checkbook. They are accustomed to paying all their bills on line or with a debit card. Collection efforts of past due amounts – Don’t let receivables age. The older the debt to the practice, the less likely it is to be paid. Follow your policy, attempt to collect and then send accounts to collections. Replacing budget plans with electronic recurrent payments. A surgical practice might use the process for a planned procedure. At the time of scheduling, the surgery scheduler would obtain an estimate from the insurance company showing the patient due amount. After collecting the surgical deposit, the practice would arrange the remainder of the balance in three to six payments after the surgery. Three payments would be ideal and would result in payment in full by the end of the post op period. An OB group might arrange for seven recurring payments of the patient due amount to end coinciding with the due date. When the baby is born, the bill is paid. Any type of practice could use this to arrange payment for a patient who has run up a large bill. Someone in the practice should talk to the patient at the time of a visit and set up a schedule using a recurring debit or credit card. Emergency services in the hospital pose a particular challenge for practices. The service is performed without any staff contact with the patient. If the service is a surgical one, in a perfect world the patient will present to the office for at least one post op visit. Use that visit to discuss the fee and set up those recurring, automatic payments. If the patient doesn’t have a follow up service in the office, attempt to talk to the patient by phone to set this up. There are commercial vendors that provide easy interfaces and portals to do recurring payments. Or, a group could talk to their own bank. One method that is not recommended is to keep patient credit card information in a non-secure manner (file cabinet, excel file) and manually charge the patient each month. Not only is it time consuming it may not be compliant with Payment Care Industry (PCI) rules. “I’ll mail you $20 every time you send me an invoice” is an ineffective way to collect balances from patients. Recurring payments are effective and efficient. Betsy Nicoletti, M.S., CPC, is the founder of Codapedia.com, a wiki for physician reimbursement. She is a nationally known speaker and consultant, and can be reached at www.mpconsulting.org. She recently wrote for Getting Paid on Denials: A Removable Obstacle on the Road to Getting Paid. Infographic: Are You Gambling with Your Patient Collections? Register now for our upcoming webinar, Improving Your Bottom Line Through Patient Collections, featuring expert consultant Donna Weinstock. If your practice hasn’t mastered collecting patient payments at the time of service, you probably already know that this cuts into your practice’s cash flow. Maybe you’re living with less revenue and ballooning receivables because it seems easier, “for now,” than getting everyone on board with better up-front collections. But if you’ve come to consider these financial impacts tolerable “for the moment,” you should consider several other negative effects that might not show up on your books immediately, yet nonetheless undermine your practice’s profitability. When patients build up large, unpaid balances, their embarrassment and difficulty paying can impact their relationship with your practice. For example, patients may postpone visits to avoid a confrontation about their accounts – skipping important follow-up care or even delaying preventive care that wouldn’t carry a co-pay. The bottom line is, neglecting to collect from patients at the time of service or set up manageable pre-payment or card-on-file plans won’t just cost you that cash flow – you could lose future revenue from those patients as well. When your practice cash flow suffers from poor patient collections, it limits your practice’s financial flexibility – and may even necessitate changes to important activities. For example, if your practice has been leasing an important piece of equipment that would be more profitable to own, insufficient cash on hand could delay that acquisition. Financial investments are not the only missed opportunities caused by poor patient collections. 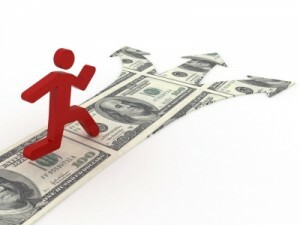 Chasing receivables also cuts into staff time that could be invested more profitably. Every extra hour that is spent attempting to collect receivables – often fruitlessly – is an hour that can’t be spent on things like marketing the practice or improving patient service. Speaking of fruitless collections, few things are more demoralizing than attempting to complete an impossible task. Many practices dedicate staff members to collections without really considering whether they’re temperamentally suited to it – or whether the returns make the investment of time worthwhile. Collection rates for patient receivables are often below 50% – a failure rate that can be very discouraging to that are used to completing tasks successfully. Preventing uncollectable receivables from accumulating in the first place is, of course, the best way to avoid this problem – but, if that’s not happening (or is a work in progress), be sure you’re utilizing external collections help appropriately, to avoid burning out staff and underutilizing their time. Laurie Morgan is a management consultant with Capko & Company. She specializes in marketing, management and technology for medical practices and blogs about practice management issues at www.capko.com/blog. Laurie has a BA in Economics from Brown University and an MBA from Stanford. Laurie recently wrote for Getting Paid on Maximizing Your Medical Practice Revenue and Profit in the Home Stretch (Part 1 of 2), Staying on Top of Business Trends to Protect and Build Your Medical Practice, and My Receivables Are Growing: Time for a New Billing Service? For example: Co-22 – Payment adjusted because this care may be covered by another payer per coordination of benefits. Ex: C0-26 – Expenses incurred prior to coverage. Internal Denial: The above denial is related to eligibility and we need to categorize only the eligibility denial based on the Kareo plan. 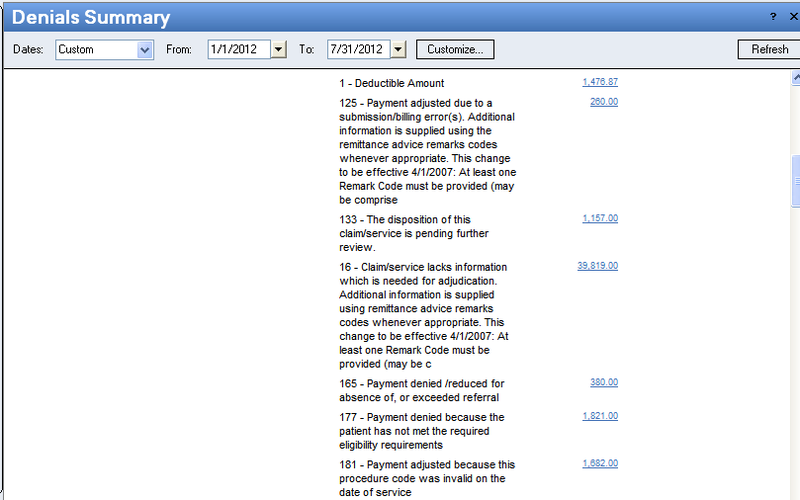 If we have the Kareo “Complete” plan, we should have checked the eligibility before submitting the claims. Then it falls in the Internal Denial category. External Denial: If you don’t have the option to check eligibility within Kareo, then the denial falls in the External Denial category. We can stop these denials by changing to the Kareo “Complete” plan or by checking the providers’ websites and/or educating the front office to check eligibility. Denials other than eligibility should be checked and sorted into Internal & External categories. Using this denial summary, we need to categorize the denials as Internal & External denial by the top 20 denial codes. Based on the type of denial, we need to educate our team to reduce these denials. If most of the denials are related to Internal error, we need to provide guidance and education to the team to reduce such errors in the coming months. For External denials, we need to co-ordinate with the coding team and provider office to stop the denials such as “denied as non-covered service,” “rendering provider is not eligible,” “Pt enrolled in Hospice.” etc. We need to educate the providers to document the medical records more specifically for the service rendered to avoid such denials. Conclusion: Managing your denials = Improving your revenue cycle. This is the second month in a row that Henry has won—congratulations! But we’re throwing out the challenge to our many other fine billers, billing services and billing managers: Send your tips in, and you could win the $250 prize! Please be sure to submit your Medical Billing Tip of the Month to Marketing@Kareo.com by Wednesday, September 26, for inclusion in the next round of judging. We’ll post the top three tips on our Facebook page and on the Kareo blog for your vote! You will win a $250 American Express gift card if your tip is chosen. Good luck! This is part II in a series about an ongoing Office of Inspector General (OIG) investigation concerned with miscoded Medicare evaluation and management billing. In the first part, we introduced the problem and posed questions about related issues. Although resolution may be far off, as the OIG investigations continue, we think it may be reasonable to consider the steps ahead. Between 2001 and 2010, OIG auditors investigated thousands of physicians and their practices to determine why Medicare evaluation and management (E&M) billing seemed to be migrating into more expensive and more complex medical billing codes. OIG found 1,700 physicians and practices that were consistently submitting claims for higher-than-typical levels of E&M care. They also found that these same physicians and practices had also recently implemented electronic health records (EHR) systems. While it is important to remember that investigations are ongoing and no conclusions have been reached, it is becoming clear that there is a lot of work to do to make EHR products compliant with Medicare E&M documentation requirements. Set Higher and More Consistent Standards — EHR vendors and the products they market must rise to meet a much higher standard of compliance for certification. Among the many changes required are significant design and function enhancements, audit protection for users, a capability to determine medical necessity and protection against over- and undercoding. Products that meet these CMS compliance standards should be certified as Medicare-compliant, and such certification should offer a degree of protection to users from investigation. Teach Compliance– Medical schools should use and teach on E&M documentation-compliant software. Physicians should be trained in the use of software that will facilitate efficient recording of relevant data and at the same time support compliant documentation requirements of Medicare E&M. CMS to Lead the Way – While CMS provides standards of compliance for others to follow, it must meet its own standards as it oversees the design, production and implementation of software vendors’ EHR products. CMS can integrate its compliance standards requirements into its existing EHR adoption incentives to encourage the use of compliant documentation products and at the same time prevent non-compliant designs from reaching the market. Shift the Focus from Physicians to EHR Software Vendors – The software engines that drive collection of E&M data are surprisingly consistent from product to product. OIG should refocus its enforcement attention on EHR vendors and those products that produce non-compliant E&M documentation. We would like to see CMS build audit protection into its certification standards so that products marketed to physicians can actually protect them from submitting flawed E&M documentation. What is the big takeaway? It looks like physicians who have begrudgingly tolerated systems that forced them to simplify their E&M data collection into canned scripts and templates have been unfairly targeted. Yes, compliant documentation is ultimately the responsibility of the entity submitting the data, but until the smoking gun behind the miscoded E&M billing is located, we believe leniency is in order. Read Part I of this series now. Patient collections are becoming vital to medical practices’ profitability, as they now comprise 30% of some practices’ revenue. Does your staff understand the importance of collecting patient payments at time of service and promptly as due? Join expert Donna Weinstock as she explains how to improve your patient collections—and your bottom line. You can download the Kareo Patient Collections Webinar Handout now. Question-and-Answer Session — Ask your tough questions and get answers to your current concerns about how to improve your patient collections. Private practice owners, office managers, billing managers, billers, billing service owners and others concerned about maximizing patient collections. Donna Weinstock is the President of Office Management Solution, whose approach to running a healthcare practice involves a unique mixture of improving operations, increasing patient satisfaction, and encouraging employee retention. Donna consults with healthcare practices to improve processes, perform workflow analysis, increase profits, decrease waste and implement electronic health records. During her 30 year career in healthcare, Donna worked in medical practices first as a receptionist and biller, then a practice manager. This allows her to fully understand the challenges of a healthcare practice. She is able to identify with all aspects and therefore help practices improve and implement changes. Donna has her bachelor’s degree from the University of Illinois at Chicago and her nursing home administrator’s licensure from George Washington University.